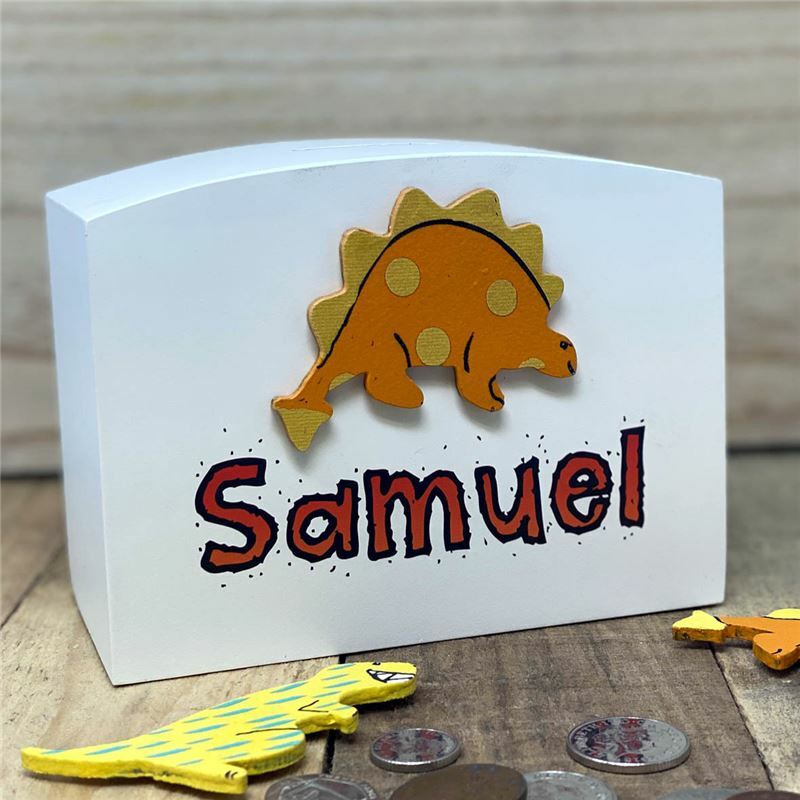 Dinosaur fans will love this perosnalsied wooden money box. Makes a delightful present for a birthday, christmas or even a christening gift. Encourage saving from an early age.